On July 26, 1775 (shortly after the Battles of Lexington and Concord (April 19, 1775,) the first military engagements of the American Revolutionary War,) members of the Second Continental Congress agreed that a Postmaster General be appointed for the United Colonies. That year, Benjamin Franklin was appointed the first Postmaster General of the Postal Service. A couple years later (January 20, 1778,) Captain James Cook, made ‘contact’ with the Islands and anchored his ships near the mouth of the Waimea River on Kauai’s southwestern shore. After a couple of weeks, there, they headed to the west coast of North America. 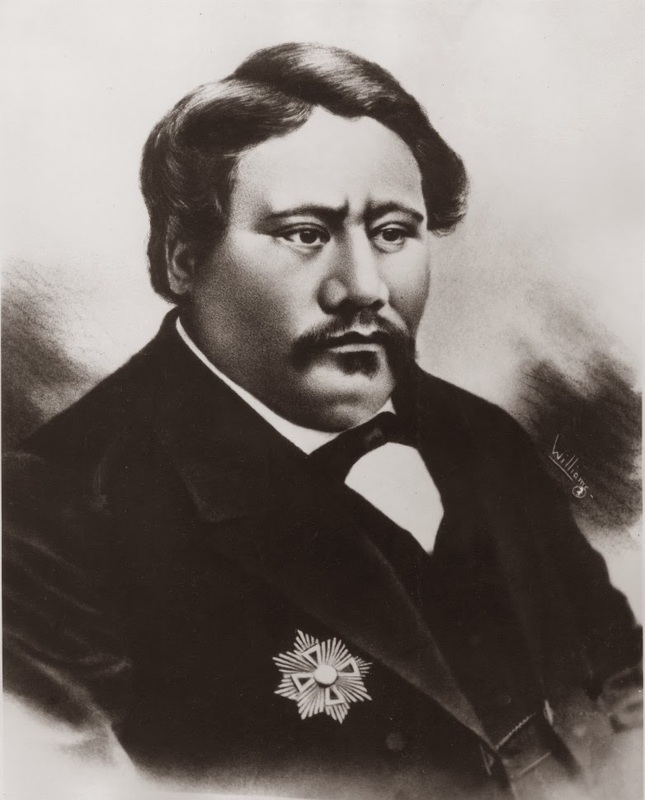 “Whereas a treaty of friendship, commerce, and navigation, between the United States of America and his Majesty the King of the Hawaiian Islands, was concluded and signed at Washington, on the twentieth day of December, in the year of our Lord one thousand eight hundred and forty-nine”. On November 2, 1850, The Polynesian, “Official Journal of the Hawaiian Government,” announced it was keeping a letter bag open to receive letters and promised to place on board reliable vessels any letters deposited in its letter bag. During the fifty years of Hawaii’s independent postal system from 1850 to 1900, the post office occupied three premises: a room in The Polynesian Office (1850-1854;) rooms in Honolulu Hale, situated next door to The Polynesian Office (1854-1871;) and about half of the ground floor in the “New Post Office” (Kamehameha V Post Office, 1871-1922,) situated on the former site of The Polynesian Office. When Whitney was postmaster, he conceived and produced Hawaiʻi’s first stamps, issued in 1851 (the stamps are now called ‘Hawaiian Missionaries,’ all printed locally by letterpress at the Government Printing Office. The stamps were in three denominations: a 2-cent stamp paid the newspaper rate, a 5-cent stamp paid the rate for regular mail to the United States, and a 13-cent stamp paid the rate to the US East Coast. The first three stamps in the issue were announced for sale on October 1, 1851, at the Honolulu and Lahaina post offices. By early April, 1852, the fourth stamp was printed to correct confusion and state clearly the 13¢ value was to pay both Hawaiian and United States postage through to any East Coast United States destination.